Towering sandstone spires, deep labyrinthine canyons, meadow mountaintops, and the eponymous twin buttes seen from nearly every direction in the southern Utah landscape characterize this archaeologically and culturally significant site. Some 13,000 years ago, the Clovis people were active here; 2,500 years ago, ancestral Puebloans constructed cliff-side dwellings with underground rooms called kivas. In 1880 Mormon settlers on the San Juan Mission expedition constructed the Hole-in-the-Rock Trail, listed in the National Register of Historic Places in 1982. 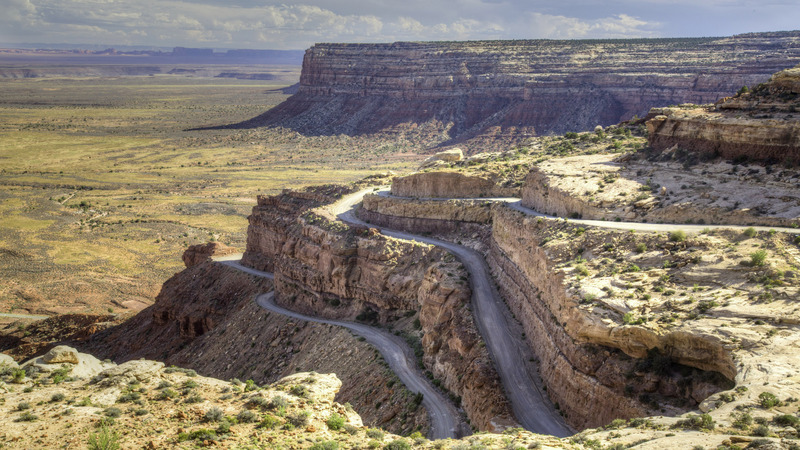 Cattle rustlers and outlaws, reportedly including Butch Cassidy and the Sundance Kid, traversed and hid among the landscape’s varied topography, which was also used by the Navajo to elude the U.S. Army. The 1.3-million-acre monument is bordered by the Colorado and San Juan Rivers to the west, the Navajo Reservation to the south, low bluffs and high mesas to the east and north, and Canyonlands National Park to the northwest. 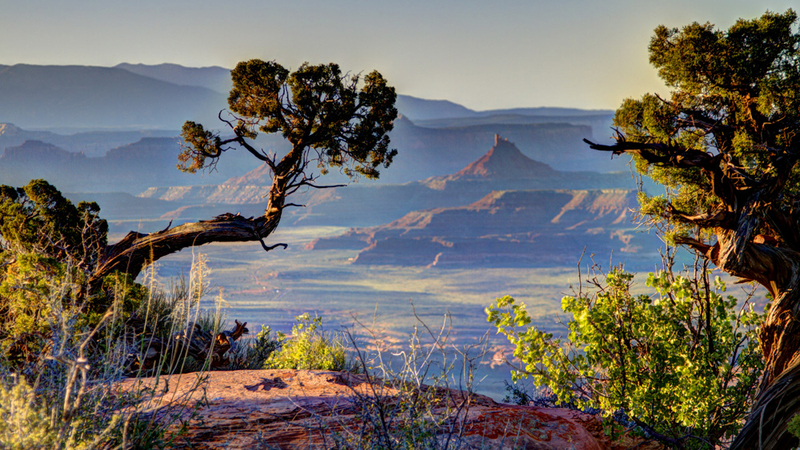 At its center, the Bears Ears Buttes tower above Cedar Mesa, a vast plateau with twelve canyons folding along its sides. Mule deer, elk, bighorn sheep, Utah’s only population of Albert’s tassel-eared squirrels, and numerous other species live among pinyon juniper woodlands and canyons of yucca and cacti within the monument’s boundaries. With its large-scale petroglyphs, the mostly roadless site records Native American lifeways and continues to support traditional events, such as medicinal and ceremonial plant collection. 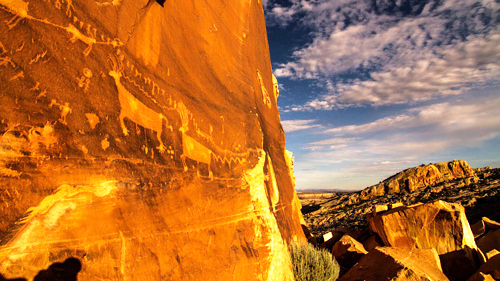 Throughout the twentieth century, Native Americans returned to the Bears Ears area for spiritual ceremonies and, in the 1930s, began advocating to protect it under the Antiquities Act of 1906. 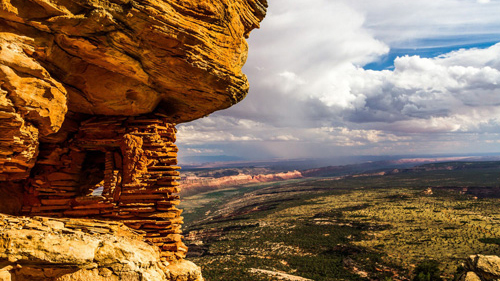 Responding to a 2015 petition from the Bears Ears Inter-Tribal Coalition, President Barack Obama declared Bears Ears a national monument in 2016.